Todd Gray’s “A Place That Looks Like Home” is one of the latest exhibits presented by Syracuse University’s Light Work gallery. An ode to the artist’s work over the past 40 years, the exhibit features a series of pieces collaged with Gray’s own photographs, along with personally curated frames. 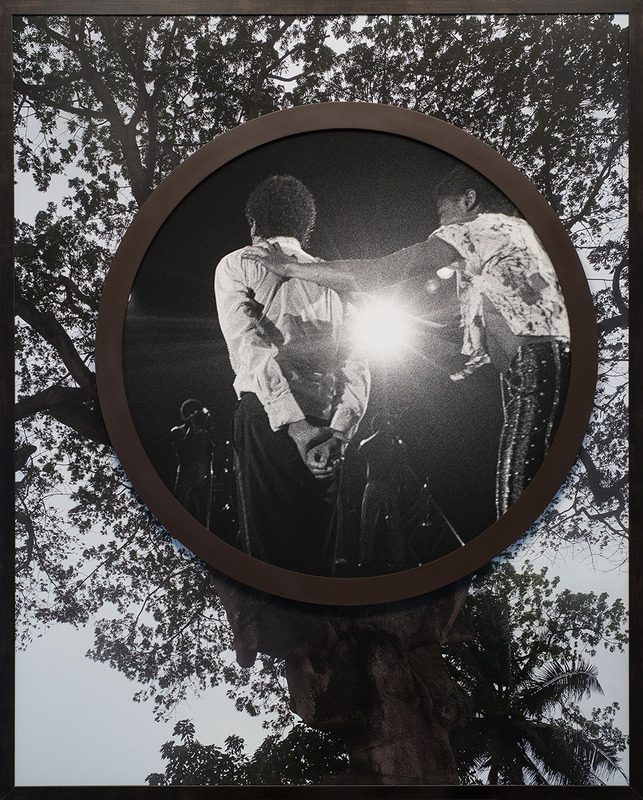 Many of these photos of Jackson are featured in the exhibit, as well as a variety of pictures taken by Gray in Ghana, and the diverse neighborhood of Los Angeles’ South side, where Gray collected the frames used in the exhibit from local yard sales and antique shops. Also included are images from the Hubble space telescope. During Gray’s October 7th lecture in Watson theater, the artist described his first venture into photography as a teen, when he would venture to concerts across his hometown of Los Angeles and photograph performers such as Chuck Berry. At only 17 years old, Gray got his big break when he was hired to take pictures of The Rolling Stones while they were on tour. In his lecture, Gray also talked about his struggles with his race. Gray discussed a particular conversation he had with Zeppelin frontman, Robert Plant, about his own denial of rock music’s roots in the traditionally black genre of blues. “I was suffering from an inferiority complex about being black. I didn’t think that my culture was as good as white culture, and that was why I embraced rock n’ roll, because I thought dominant culture, white culture, was superior to my own culture,” Gray said. During his time at the California Institute of the Arts is when Gray said he became “woke.” He credited one of his professors for helping him discover a love for black authors and books on race theory. 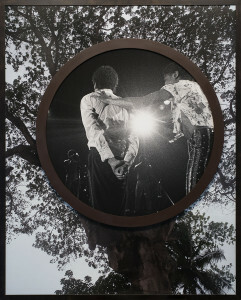 Gray used his newfound interest in this material to write his thesis, in which he drew parallels between racial self-denial and the cultural practices of black men such as his subject, Jackson. “I was analyzing all of these photos of Michael Jackson that I had made…I knew Michael wanted me to lighten his face, I knew that Michael would use a lighter shade of makeup, and I was looking at these indications. I knew that straightened his hair, and I was interpreting these choices that he’d made and critiquing them as signifiers that his standard of beauty was based on whiteness.” Gray said. Gray describes his art as an examination of his “position in the [African] diaspora.” Gray says he uses his work to delve into issues of primarily race, class, gender, and colonialism. “The power of dominant culture is so pervasive and ubiquitous it is almost invisible. As invisible as the air we breathe. We take it for granted, unaware of the pollutants in it affecting our health and well being…I hope to make the pollutants visible,” Gray said in an email. Gray lists Frida Kahlo, Carrie Mae Weems and James Baldwin among the artists who inspire him. Like Gray, all three were known for their exploration of intercultural topics relating to race and gender. Mary Lee Hodgens is the Associate Director of Light Work, and the curator of the exhibit. In the essay she wrote for Light Work’s exhibition catalogue, Hodgens cites the United States’ most recent and perhaps most widely-publicized run in with race relations as inspiration to bring Gray’s work to the gallery. “Terrifying social and civic unrest, murdered police, and the overt racial rhetoric of the political season are stirring up and revealing anew the dark, intractable history of racism in America…The tension and power in Gray’s work lies in its awareness of both this darkness and a more transcendent view of humanity,” Hodgens said. In the 2015 piece “Dark Matter,” Gray collaged four circular photos, each within their own circular frames. 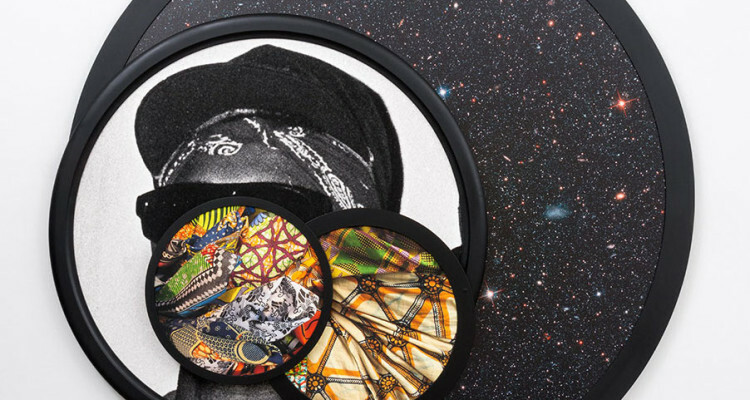 The background image is one taken from the Hubble telescope, topped with a black and white photo of a South L.A. man and two color stills of fabrics from Ghana. 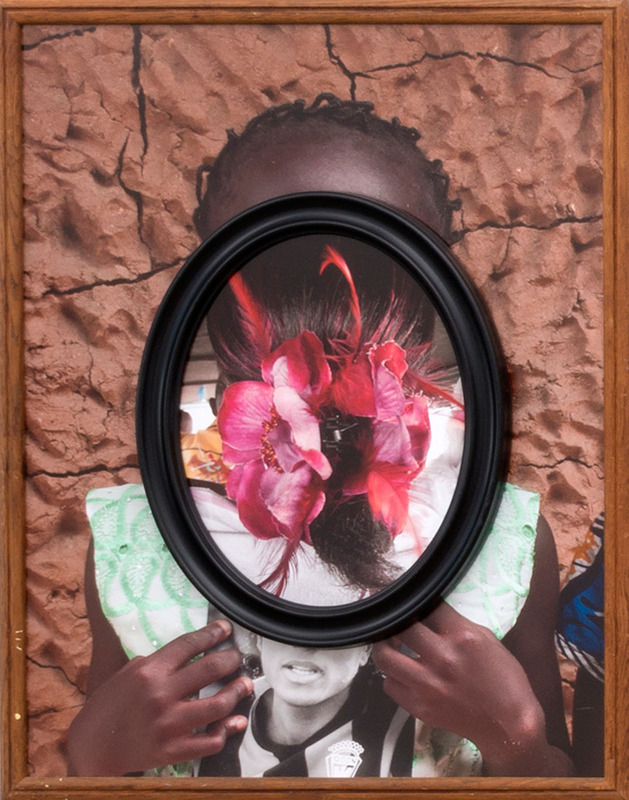 The stark juxtaposition between the darkness of the background photos and frames; and the brightness of the Ghanian prints contribute to arguably the most unique aspect of the exhibit. The mixture of media is created by both the frame and photograph, as well as between the photos themselves. “By mixing different media with the photographs I hope to slow down the process of reading the photograph, so we have to think and consider what we are looking at. I want the viewer to be active, questioning what is being looked at while creating their own meaning in the process instead of passively digesting the meaning of the image,” Gray wrote. When Gray was asked about the appeal of bringing his collection to Light Work, he mentioned not only the notoriety of the gallery itself, but the meaning of placing his pieces in a city so connected to black history. “A Place That Looks Like Home” is available for viewing in the Kathleen O. Ellis Gallery until Oct. 22.